Five U.S. cities are on the short list for a 2018 Formula E race, including Los Angeles, Las Vegas and Austin, reports the Austin-American Statesman. With electric race cars that are vastly quieter than the pit-o’-debauchery that is Sixth Street, the group pushing for the race date says they can act fast to make it happen in Austin. But like all Formula E races, it would happen on the streets, not Circuit of the Americas, which would be far cooler. The four-person group pitching this Formula E race has already started approaching companies for sponsorship, scouting city streets for a proposed track and reaching out to Austin city leaders. One of the four has local racing experience: Ben Calahane was the former chief sales officer for corporate partnerships at Circuit of the Americas, notes Autoweek. Formula E CEO Alejandro Agag is excited about the pitch for the Austin race, although he admitted to the Statesman that competition to be the series’ second U.S. stop alongside New York is fierce. Austin has several big things going in its favor, though: it’s home to many tech companies, already a host to many major national and international racing series, and it’s the proud home of many, many green-minded hippies who love their EVs. If I thought the city was willing to shut down the streets, we would have never needed to have built a track. Street races are typically boring because it’s too hard to pass. Fans can only see the cars for a few seconds each time around. Also street races are very difficult and expensive to set up. Most of them lose money. Dude, don’t go full Eddie Gossage here. Never go full Eddie Gossage. 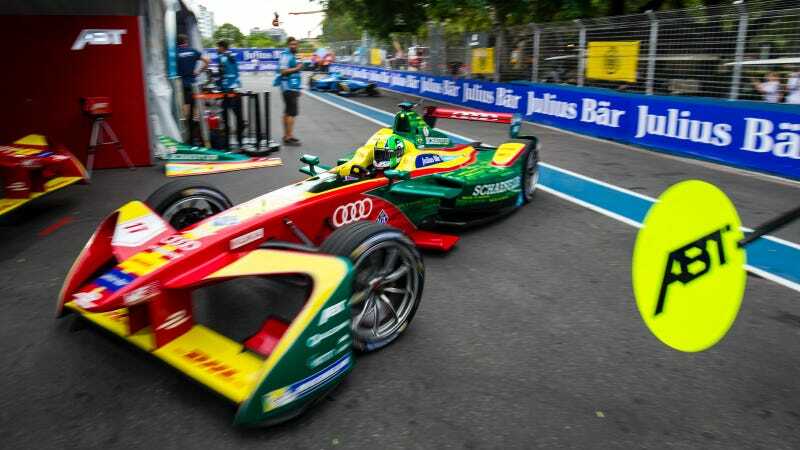 Besides, Formula E runs exclusively on street courses around 1.5 miles in length. That’s their schtick. They weren’t ever going to run on COTA anyway unless something major changed with the series itself. Formula E’s sustainable-tech-heavy vibe should help the likes of COTA out by showcasing racing as a fun time to people who wouldn’t normally go to races, regardless of what smack comes out of Epstein’s mouth. If there’s anything that the SXSW music/tech/movie/?? ?/it keeps growing every year oh my gosh send help mega-festival shows, the city has no qualms about shutting down streets if they feel as if an event is worth it. It wouldn’t be the first time Austin hosted a street race, either, although Austin’s old Aqua Festival ultimately fell prey to noise complaints from neighboring residents. Good news! Formula E is quiet. Bring it here. The FIA will meet on March 24 to determine where America’s second Formula E race will land, according to the Statesman. The opening on Formula E’s calendar is in either late February or early March, before most of Austin’s biggest events.